I am very proud of the performance of the organization for 2017. The key enabler for any endeavor is the people who deliver the results according to the Vision and Mission set by the whole organization. The detailed results in the succeeding paragraphs is a testimony for the hard work that was done to deliver and we all know there is still a lot of work ahead but the will to succeed is there. 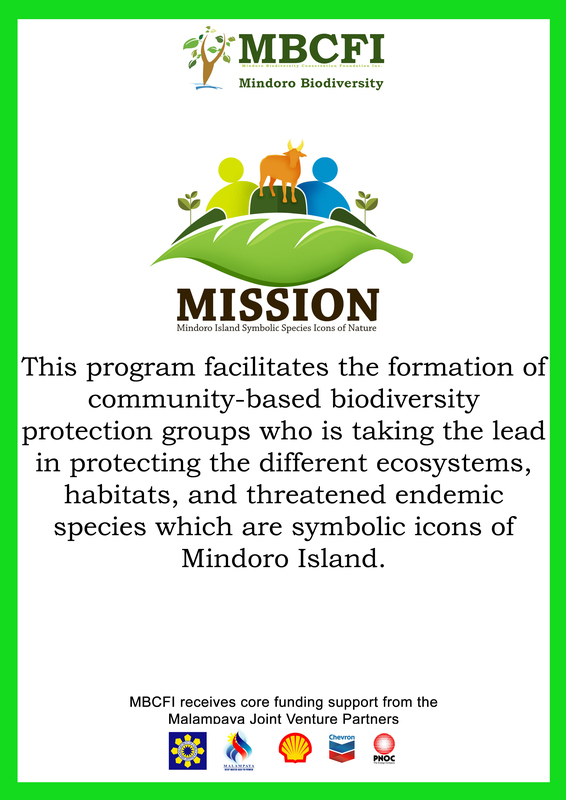 Our promise to Mindoro and beyond is to make conservation real, with the Biodiversity Centre and the products of our Research, Mission and Care programs. Watch us as we do this! Onwards to the next decades of MBCFI! We took the challenge in sustaining our conservation efforts in an even stronger and more reliable organization complemented with some key hires of 1 Program Manager, 1 Finance and Admin Manager, 4 Project Officers and 1 Support staff. 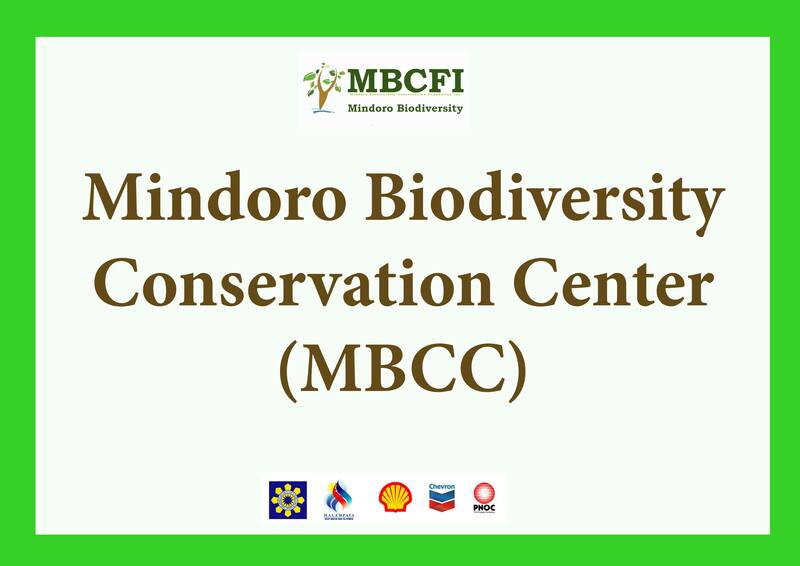 MBCFI has been reaccredited by the Department of Environment and Natural Resources and the Provincial Government of Oriental Mindoro. After impartial scrutiny and verification with the Philippine Council for NGO Certification (PCNC) standards of good governance, management and accountability, MBCFI received its accreditation in the same year. We are now a member of the International Union for the Conservation of Nature (IUCN), among the six (6) Philippine NGOs admitted by the union. The IUCN is a membership union uniquely composed of both government and civil society organizations providing public, private and non-governmental organizations with the knowledge and tools that enable human progress, economic development and nature conservation to take place together. We have introduced a new tool in monitoring and evaluating our targets. New financial software donated by Netsuites is now in place. Our policies and procedures manual has been revised and cascaded. Technical assistance was given to Naujan Lake Protected Area Management Board and Office in the conduct of the annual Asian Waterbird Census where a total of 6,932 individuals composed of thirty-six (36) species of waterbirds was recorded. The most abundant species recorded were Tufted Ducks (Aythya fuligula) with 4,833 individuals followed by 1,351 individuals of Whiskered Terns (Chlidonias hybrida). 1.1.7. Draft of the proposed Presidential Proclamation for declaration of the NLNP as component of the NIPAS. 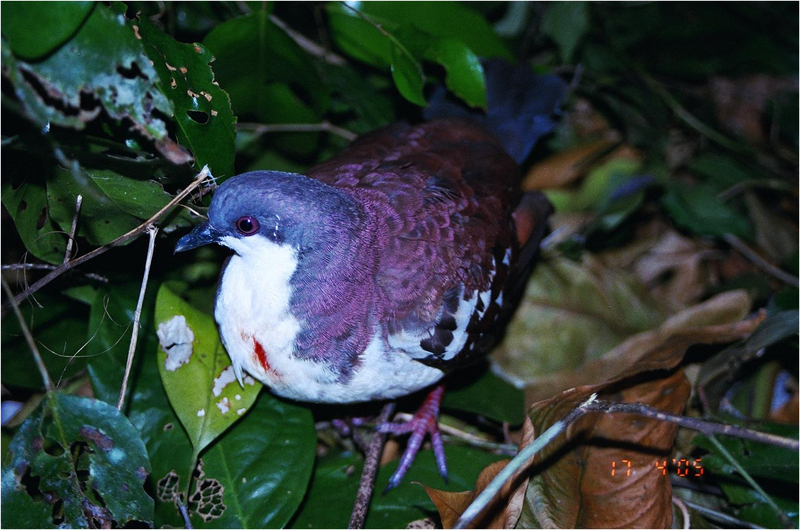 An initial total of 82 wildlife species were recorded during the biodiversity survey in Mt. Halcon, composed of 51 birds, 6 bats, 4 rodents, 7 amphibians and 14 reptile species. 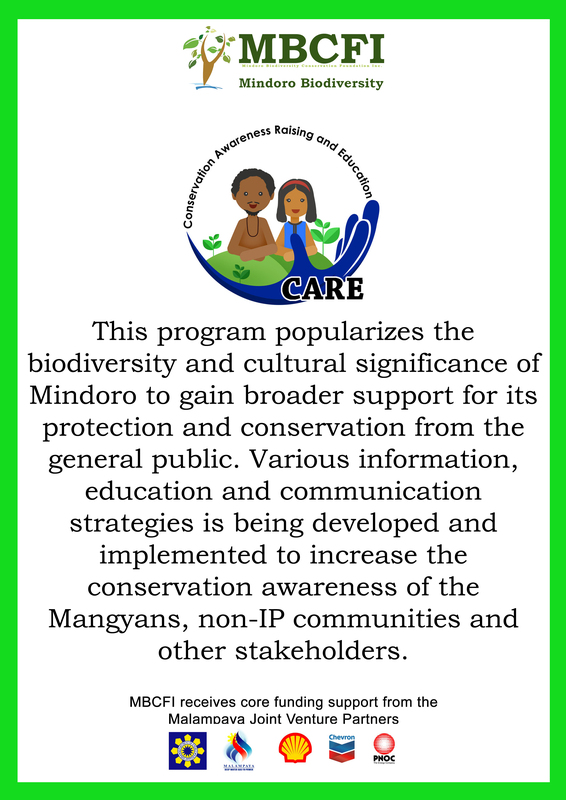 Species highlights include records of several island endemics such as Mindoro Scops Owl, Mindoro Racket-tail, Mindoro Pallid Flying Fox, Mindoro Climbing Rat, Mindoro Climbing Rat, Mindoro Tree Frog, Mindoro Forest Dragon and Bangon Monitor Lizard. Moreover, thirty (30) deputized Wildlife Enforcement Officers (WEO) were trained in identifying wildlife & resource use indicators as well as proposed transect lines along the slopes of Mt. Halcon. We participated in the annual Tamaraw count together with the DENR and other volunteers. A total of 401 individuals of Tamaraw (Bubalus mindorensis) were recorded in Mts.Iglit-Baco National Park through Simultaneous Multi-Vantage Point Count Method. One hundred sixty eight wildlife species were recorded in Mts. Iglit-Baco National Park, composed of 84 plant species including endemics such as Begonia mindorensis, Dillenia philippinensis, and Ficus ulmifolia; 53 bird species including threatened Mindoro endemics such as Black-hooded Coucal, Mindoro Hawk Owl, Mindoro Hornbill and Mindoro Racket-tail; 11 mammal species including the Tamaraw, Mindoro Warty Pig and Mindoro Stripe-faced Fruit Bat; 9 amphibians including the Mindoro litter frog and Mindoro tree frog; and 11 reptiles such as the Bangon monitor lizard and Mindoro narrow-disked gecko. 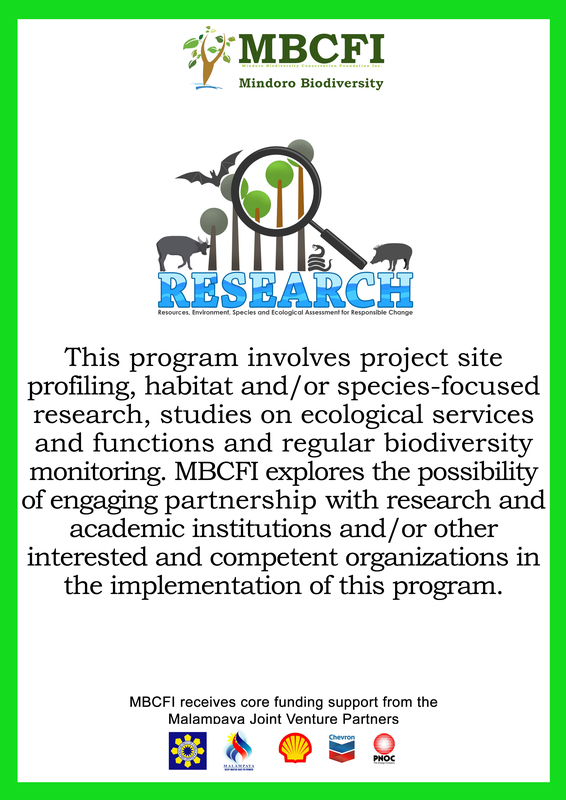 The biodiversity survey in Mts. Iglit-Baco National Park also recorded 244 terrestrial arthropod species. BMS / Wildlife Species Identification Training in Apo Reef Natural Park was conducted where Don Geoff Tabaranza facilitated the training on bird species identification, while MBCFI trustee Dr. Leticia Afuang facilitated the training on herpetofauna species identification. 2 Barangay Development Plans have been drafted for presentation and approval by their respective municipalities. Three (3) Philippine Red List Committee meetings were conducted in 2017 aimed to finalize the Philippine national list of threatened fauna. MBCFI trustee and vice president Dr. Juan Carlos Gonzalez is a member of the PRLC and the chair of the Birds Working Group with MBCFI RESEARCH program manager Don Geoff Tabaranza as vice-chair. MBCFI trustee Dr. Leticia Afuang is vice-chair of the Herpetofauna Working Group. The DENR Administrative Order is projected to be approved in 2018. The DENR Technical Bulletin #2017-02 was finally approved on 13 January 2017. MBCFI RESEARCH program manager Don Geoff Tabaranza chaired the Ad Hoc Technical Working Group composed of ornithologists, conservationists, tour operators, and representatives of birdwatching and bird photography groups. MBCFI trustee and vice president Dr. Juan Carlos Gonzalez was also a member of the technical working group which developed the guidelines since April 29, 2015. MBCFI received core funding support from the Malampaya Joint Venture Partners with a total amount of Php 20,410,866.70 in 2017. The Department of Environment and Natural Resources’ counterpart fund amounting to Php 850,000.00 for our efforts in Naujan Lake National Park. The growing network of MBCFI was crucial in this year’s success. I thank our funders, implementing partners, trustees, staff and volunteers for your unwavering support and trust in what we do and what we can still do in the future together. This has been a year of significant progress for MBCFI and we commit to sustain our conservation efforts or even do more with less as we turn 10 this year.